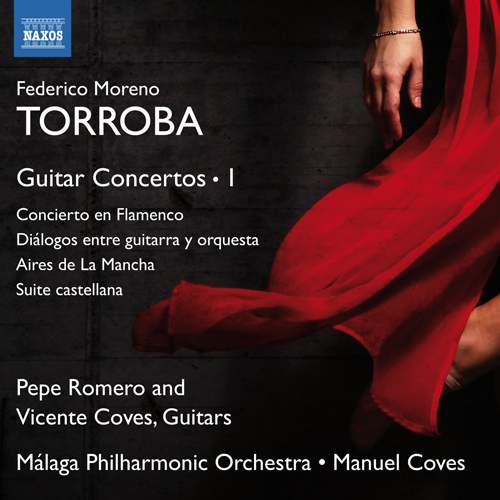 An outstanding figure in the history of modern Spanish music, Federico Moreno Torroba is best known for his guitar works, his traditional style embracing the folklore and character of Spain. The Concierto en Flamenco requires an exceptional soloist, and Pepe Romero is justly famous for his masterful interpretations in both classical and flamenco genres. The playful Diálogos entre guitarra y orquesta adds the luminous sonorities of harp and celesta to its colourful orchestration. Aires de La Mancha is evocative of this distinctive region in central Spain, while the Suite castellana includes Torroba’s first ever composition for guitar, Danza. 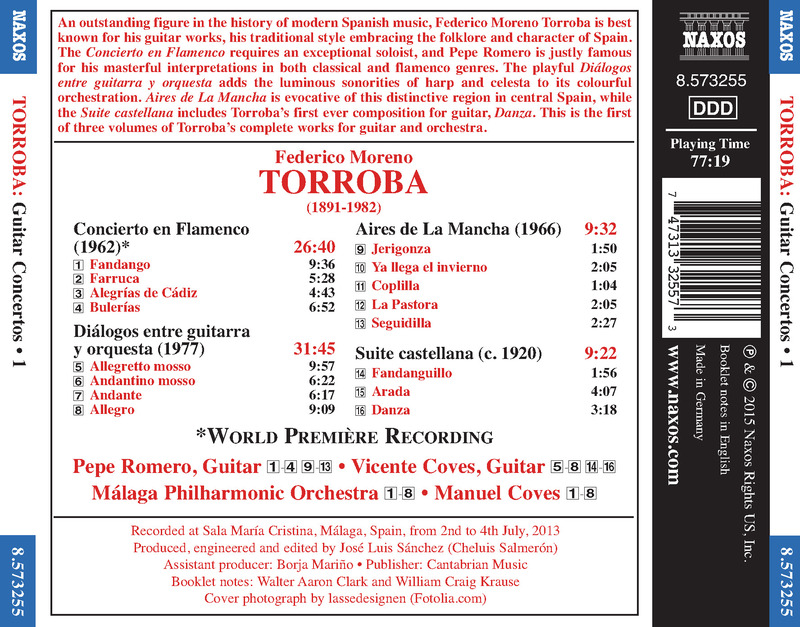 This is the first of three volumes of Torroba’s complete works for guitar and orchestra.